A COMPLETE TREATMENT COVERING SUCH ISSUES AS STANDING, ASSIGNMENTS, SECURITIZED TRUSTS, EVIDENCE, LOST NOTES, REINSTATEMENTS, MERS, FORCED PLACE INSURANCE, BROKER PRICE OPINIONS AND MUCH MORE. MOTION FOR ORDER QUASHING SERVICE OF PROCESS: Service of Process is the delivery of copies of legal documents such as summons, complaint, subpoena, order to show cause (order to appear and argue against a proposed order), writs of possession, and certain other documents, usually by personal delivery to the defendant or other person to whom the documents are directed. Service of process must be accomplished by a certified Process Server. Such a person is an Officer of the Court charged with completing the delivery of the documents in a proper and statutory manner. No shortcuts are allowed. In a foreclosure matter service of process must be done properly, generally by handing the documents to the person named in the complaint or to a resident of the home over eighteen years of age and after explaining the contents of the documents to that person. So-called "substituted service" can be accomplished by leaving the documents with an adult resident of a home, with an employee with management duties at a business office or with a designated "agent for acceptance of service" (often with name and address filed with the state's Secretary of State). Should all statutory steps not be followed then a Motion For Order Quashing Service of Process is the proper Motion. Regarding foreclosure cases: All states have Statutes and Rules regulating the accepted methods of delivering the complaint to the borrower. The Statutes and Rules for each state are easily found in the Appendix to Chapter 1or by using the state legislature or state government website. Service of Process is good key word search. There have been many instances of improper Service of Process during this foreclosure crisis. Make sure that both the law and the rules have been followed to the letter in your matter. Do not let the opportunity to challenge the bank right from the beginning go unmet. The motion comes in download form. 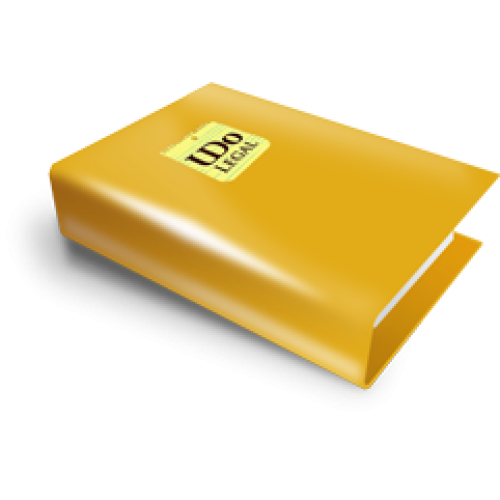 The motion documents are in DOC and PDF Formats. Save thousands - no need for an attorney. Remember! A properly structured strategy leaves nothing to chance. You can stop the bank. You can save your home. You can do it on your own and save thousands in attorney fees. DISCOVERY: Discovery is defined as the entire efforts of a party to a lawsuit and his/her/its attorneys to obtain information before trial through demands for production of documents, depositions of parties and potential witnesses, written interrogatories (questions and answers written under oath), written requests for admissions of fact, examination of the scene and the petitions and motions employed to enforce discovery rights. Pursuant to procedural due process, you are entitled to full discovery and may demand the production by your lender of all documents and information in their possession and control which may affect your rights. Discovery is defined as a formal investigation -- governed by court rules -- that is conducted before trial. Discovery allows one party to question other parties, and sometimes witnesses. It also allows one party to force the others to produce requested documents or other physical evidence. The most common types of discovery are interrogatories, consisting of written questions the other party must answer under penalty of perjury, and depositions, which involve an in-person session at which one party to a lawsuit has the opportunity to ask oral questions of the other party or her witnesses under oath while a written transcript is made by a court reporter. Other types of pretrial discovery consist of written requests to produce documents and requests for admissions, by which one party asks the other to admit or deny key facts in the case. One major purpose of discovery is to assess the strength or weakness of an opponent's case, with the idea of opening settlement talks. Another is to gather information to use at trial.